Bucolic Elmer Lamb (Stuart Erwin), who only wants to raise dairy cattle, is a mathematical prodigy; he's even a whiz at playing bridge. 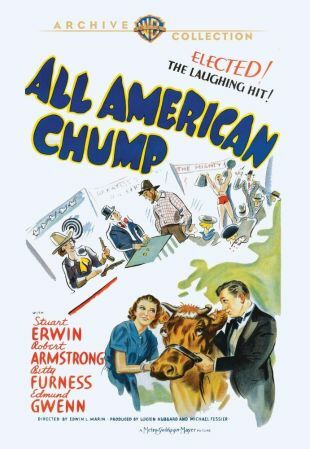 Circus pitchman Bill (Robert Armstrong) and circus owner Jeffrey Crane (Edmund Gwenn) want to make money off Elmer, but Jeff's daughter Kitty (Betty Furness) finds herself drawn to him. Eventually, Elmer is pitted against the reigning bridge champion (E.E. Clive) -- whom he's already beaten in an informal match -- which involves shady Pudgy (Edward S. Brophy) and gangster Al (Dewey Robinson).